Happy Monday!! 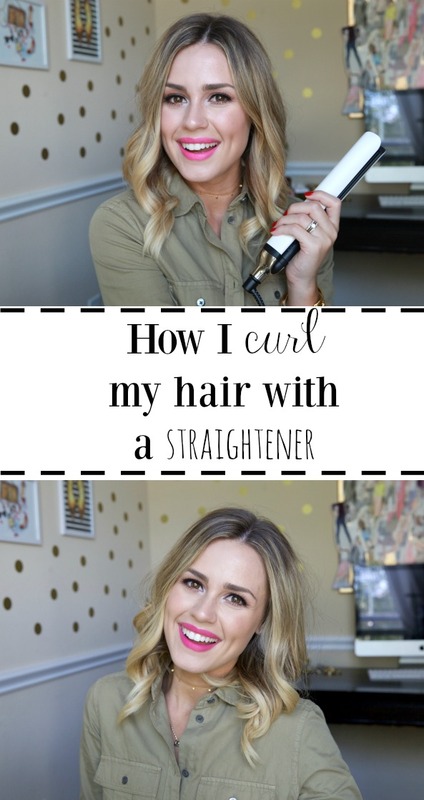 Without further ado, here is my tutorial on how I curl my hair with a straightener. I hope you enjoy it and I hope that it is easy to follow along. As always, if you have any questions don’t hesitate to ask. I hope you have great day. Thanks for stopping by! Affiliate links: ℅ GHD Platinum white straightener | ℅ Curl Hold Spray | ℅ Aveda Air Control Hairspray | ℅ Smooth and finish Serum | ℅ GHD Hair Dryer | ℅ Advanced Spilt End Therapy If you enjoyed learning how to create flat iron curls, be sure to check out more hair posts before you go. Oh I’ve always wanted to know how to do this!! Thanks for sharing! You are so welcome Maggie! You did a fab job! Your hair looks wonderful, thank you for the tips! Thank you Amanda! Gah, I am about to add extensions and I don’t look forward to that! Hey Amanda! What straightener do you use? I have a CHI and also have long hair and CANNOT get it to work for the life of me. Thankyou So much. Never knew how to do this but always wanted to.